Today I’ll pick up where I left off a few days ago with some more highlights from our trip to Hong Kong. 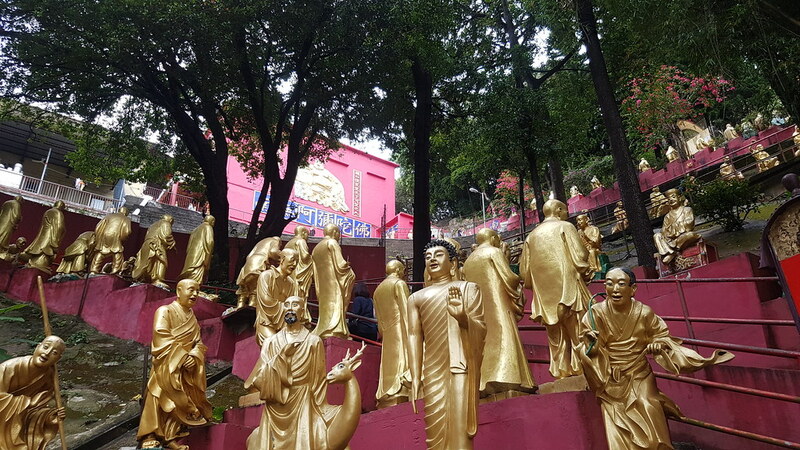 With that experience behind us, we were able to complete our trek up the stairs, which are lined with golden-colored statues on both sides. It really is quite the sight. 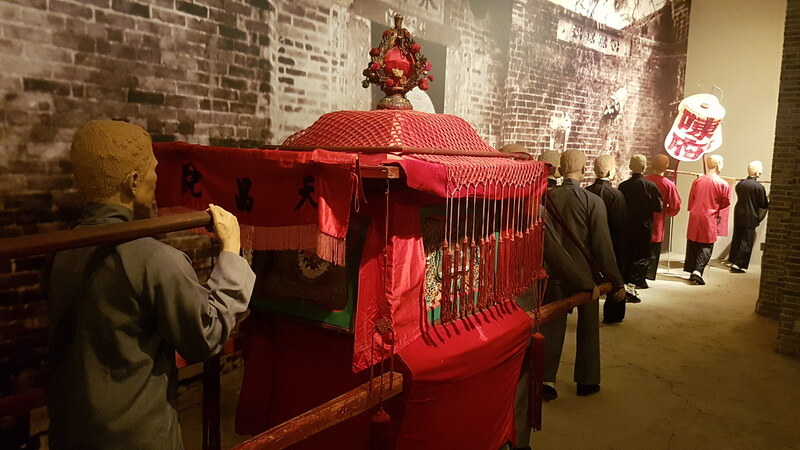 Hong Kong Heritage Museum: The museum was running a special exhibit of rare Qing Dynasty wedding artifacts while we were visiting. Most of the special exhibit did not allow photography so I don’t have any photos to share. 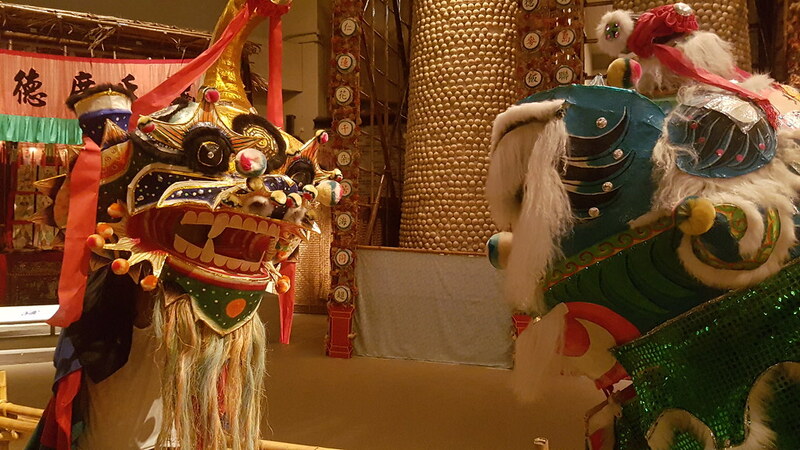 While at the museum I also learned I am not a fan of Cantonese opera. Happy Valley Racecouse: Say “Happy Valley” to a longtime Calgarian and they will immediately recall the campground and small park that once sat in the area now occupied by the Valley Ridge Golf Course. But, in Hong Kong it means horse racing. 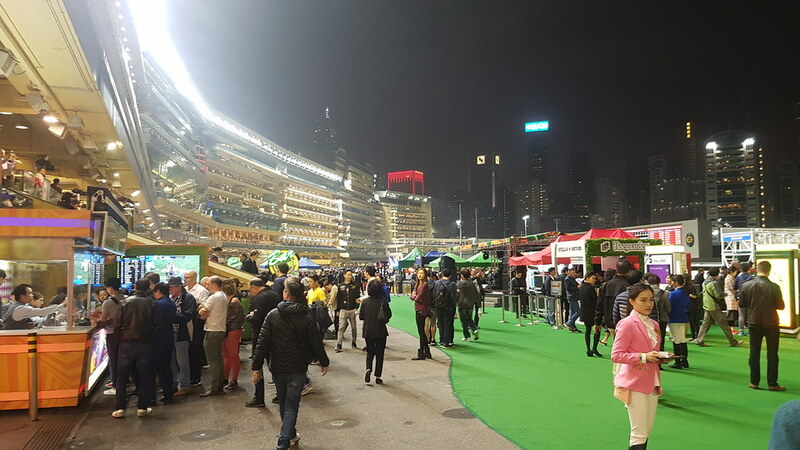 I had no idea horse racing is such a big event in Hong Kong but apparently the history of racing on this site dates back to 1845. The current stadium, where we attended “Happy Wednesday”, holds 55,000 people and dates back only to 1995. Amazingly, amongst all those people and all those miles away, Emily managed to meet and befriend a woman from Calgary. What are the odds? 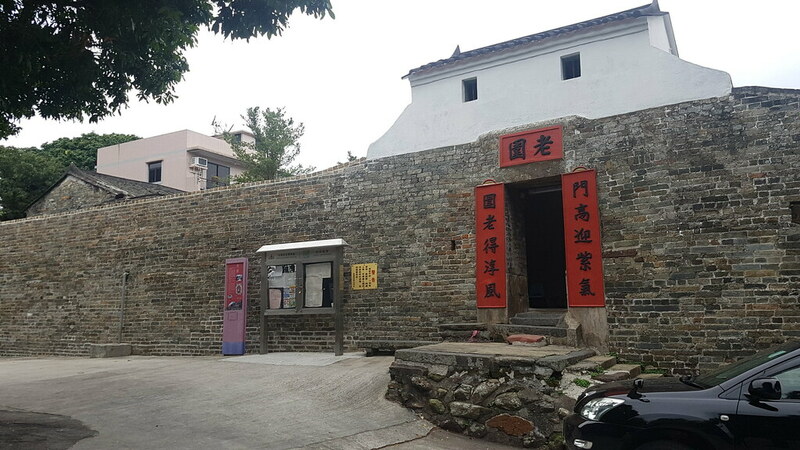 Bruce Lee House: The martial artist only lived in this house for a about a year prior to his death in 1973. However, it remains notable for being his last residence. 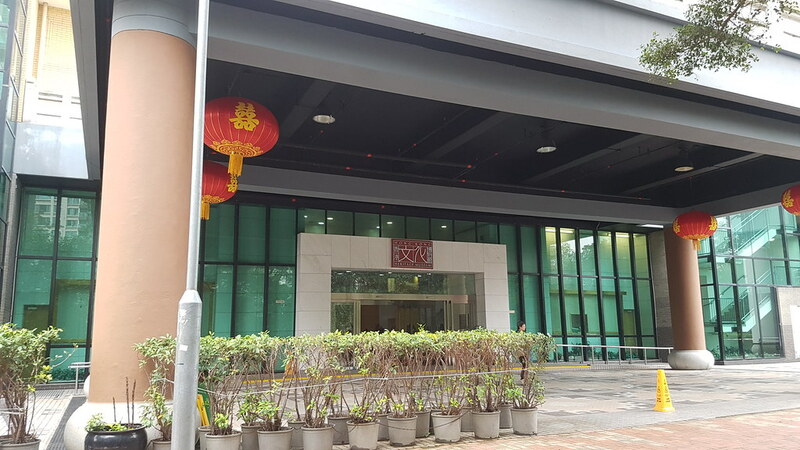 While very modest by North American standards, it counts as a mansion in Hong Kong. 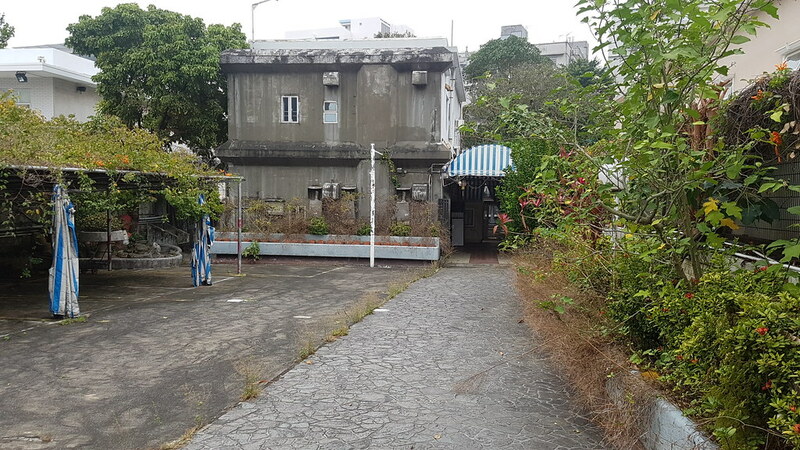 After Lee’s death, the home was converted into an hourly “love hotel”, which is very common in this section of Kowloon Tong. 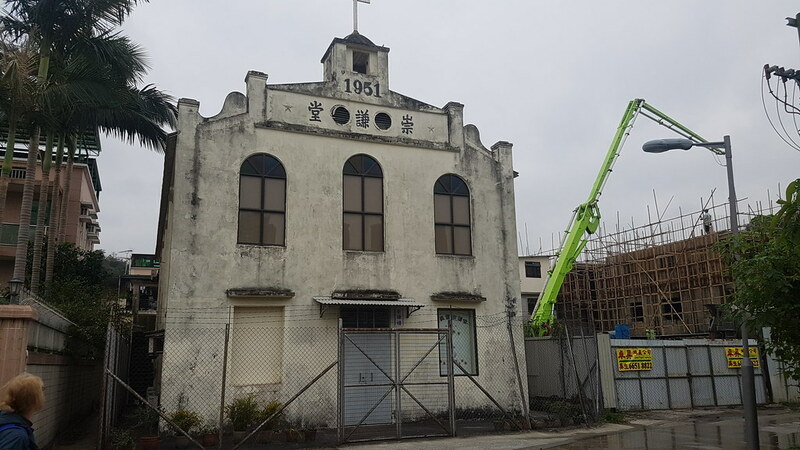 The house has been left vacant since the owner Yu Panglin died in 2015, his plans for it becoming a museum seemingly ignored by the Hong Kong government. Not open to the public, the only view you can get of it is through the gate on Cumberland Road. 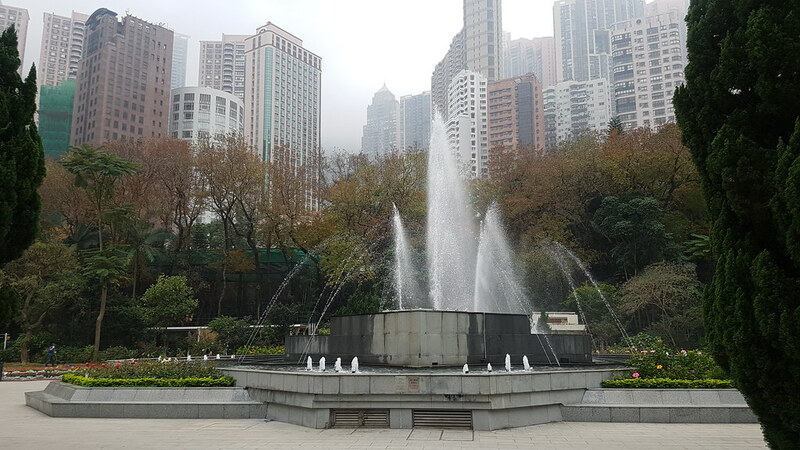 Hong Kong Zoological and Botanical Gardens: Another oasis in the middle of the city. First opened to the public in 1871, the gardens provide a tranquil respite from the bustle of the city. Animal activists should beware, however. 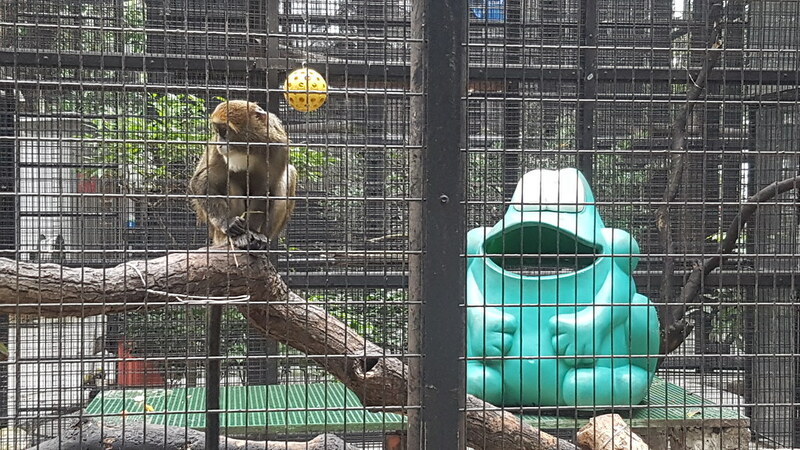 The zoological portion is very “old school” in nature with the animals kept in cages, much like we used to see in North America in the 1970s. Not a lot of effort was made for “natural” surroundings for the animals but they seemed to be enjoying themselves nonetheless. 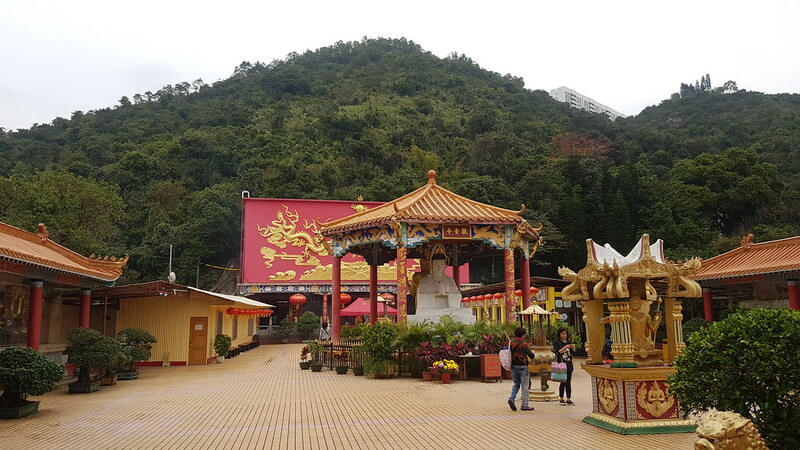 Lung Yeuk Tau Heritage Trail: For our last full day in Hong Kong, we ventured north towards the border with China. 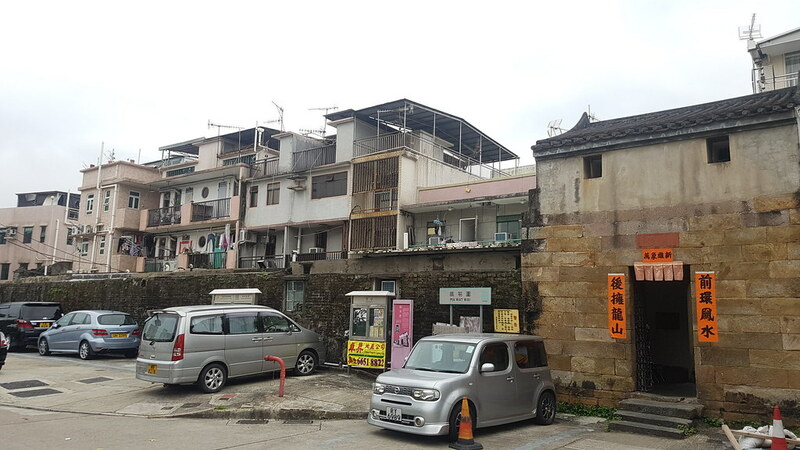 We enjoyed a self-guided walking tour through an area noted for five walled villages. The link above provides the details of the sites and their history. The most interesting to me was the village walls, complete with gun platforms and narrow gates to protect the villagers inside. 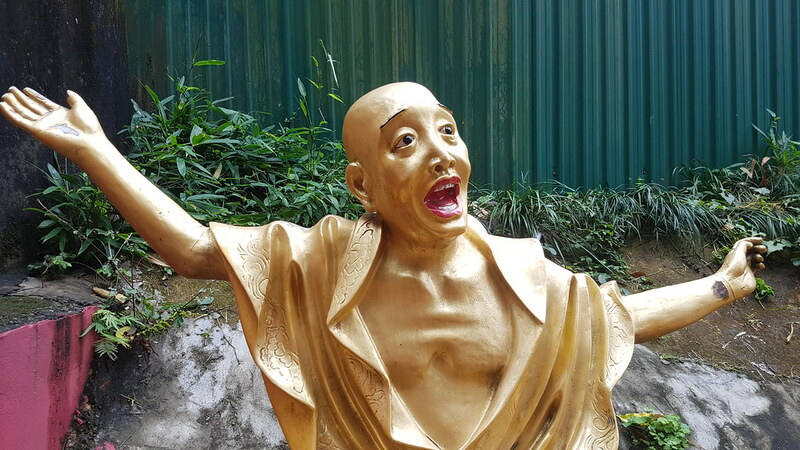 The brochure mentioned that the villages were not open to the public and we abided by that rule, even though I’m sure we could have wandered in and just played the role of “dumb tourists”. Hong Kong Museum of History: The larger and [in my opinion] more impressive of the two museums we visited. 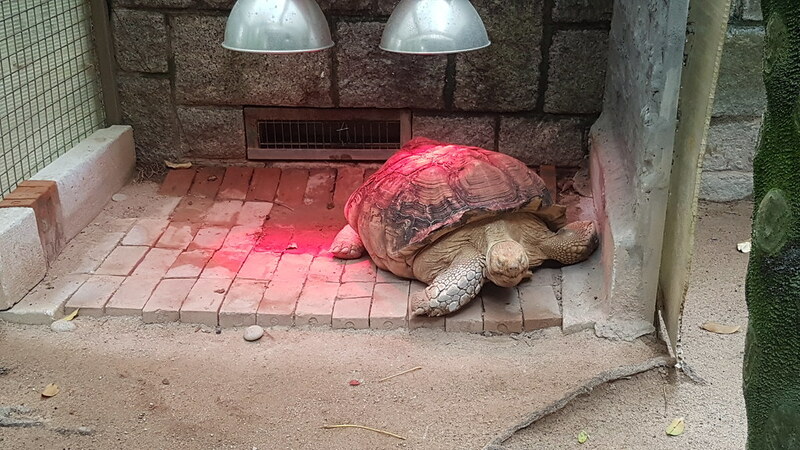 We arrived only an hour before closing so we had to race through the prehistoric section in order to get to the more recent history areas, which is where our primary interest lied. The exhibits were very well done and worth the price of admission — which was free! Coming at the end of our trip made the museum extra interesting because we had visited some of the places highlighted, which allowed us to view the exhibits with a deeper understanding of context. Of course, had we visited at the start of our trip it may have provided us with more appreciation for the places as we visited them. Either way, this was an excellent denouement to our Hong Kong adventure. So, that’s it. As I mentioned in Part 1, this was not intended to be an in-depth travel guide, nor did I cover absolutely everything we saw and did. There was simply too much packed in to our trip to give proper attention to everything. If you have any questions about anything I talked about here, feel free to leave a comment and I’ll do my best to answer them. Thanks for reading! Trip of a lifetime! One you’ll never forget I bet. You documented it wonderfully. It was like I was there.